This is a 1-5 user licence, allowing up to five users have access to the product. This is a two day conference. This is a 1-10 user licence, allowing up to ten users have access to the product. This is a two day conference. Teri C. ("T.C.") Soli, Ph.D. is President of Soli Pharma Solutions, Inc, serving the Pharmaceutical, Biotech, Medical Device, Dialysis, Cosmetics and Personal Care Products and related equipment and instrument manufacturing industries with training, auditing, and troubleshooting expertise. He has over 32 years of combined pharmaceutical experience as a consultant as well as with operating companies such as DSM Pharmaceuticals, Glaxo Wellcome, Burroughs Wellcome, and Pfizer. 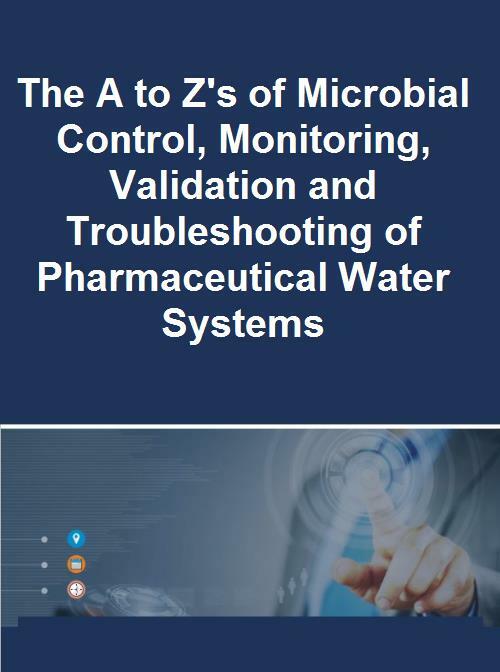 Dr. Soli's career-long experience with water systems and product and process contamination troubleshooting, coupled with USP, ISPE, PhRMA, and PDA committee involvements, afford him practical knowledge and troubleshooting skills with contamination control, cleaning, sterilization, sterile and non-sterile processes, validation, laboratory testing, excursion investigations and all aspects of high purity water systems. 4509 Island Ave, Philadelphia, PA 19153, USA.